Fireside Lodge is located in Sioux Lookout, Ontario 150 miles north of Canadian U.S. border above the state of Minnesota. 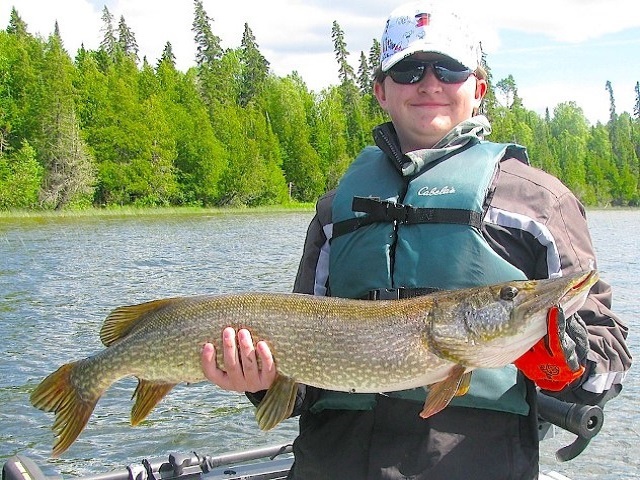 Being the only Lodge on a 10 lake system Fireside Lodge offers all guests fabulous sport fishing for Smallmouth Bass, Northern Pike, and Muskie. 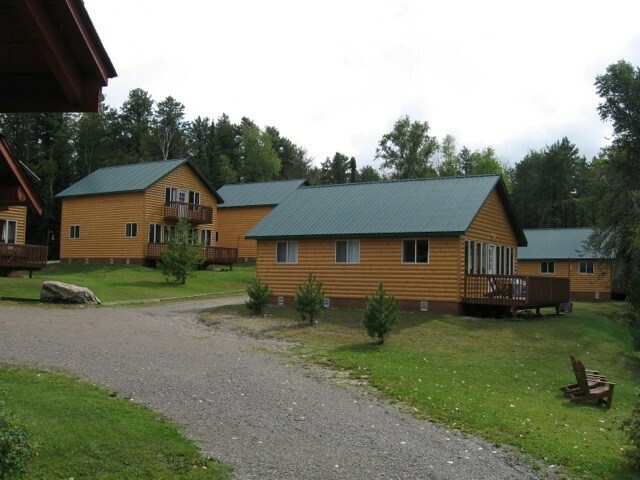 Three and a half hours from the Minnesota border, Fireside Lodge is road accessible and is the only resort located on Little Vermilion Lake. Little Vermilion is the largest in an eleven-lake system. Approximately sixteen miles long, Little Vermillion is a long narrow body of water with a lower and upper section. These spring-fed waters are deep and cold with numerous bays, reefs, and deep weed beds that have created excellent fish-holding structures. The lake forage consists of whitefish, cisco, suckers, perch, various minnow life, and crayfish. 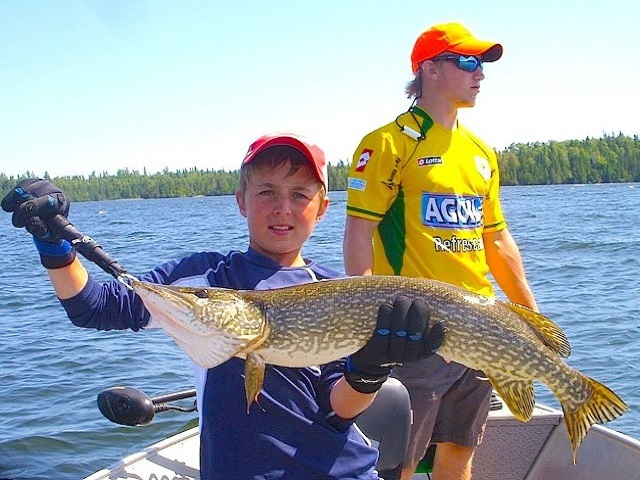 With the combination of all these factors, the unpressured-waters of Little Vermilion offers our guests some of the best sportfishing Canada has to offer; year after year. All new natural log cabins are nestled in the trees along the lake front, providing a comfortable home-away-from-home atmosphere for your stay. Lodge rooms also accommodate our guests, each with a refrigerator to store any “goodies” they choose to bring along. Modern bathroom facilities are located in the lodge and in the American Plan cabins to make your stay in the Great North a comfortable one.